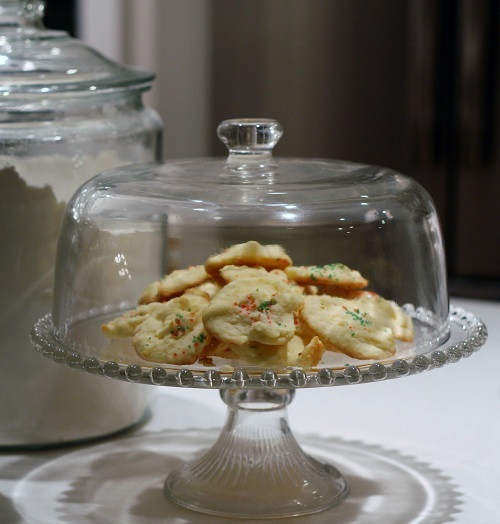 Hey guys so this recipe I am giving a face lift by adding some pictures that I took this morning while whipping up a batch of whipped shortbread cookies…. (pun intended) 🙂 These are one of the greatest cookies that I have ever come across, so simple but so good! Thanks to my mom who first introduced me to these yummy cookies. I remember her always making these during the holidays. These cookies are so delicate that they will literately melt in your mouth as you eat them. So delicious 🙂 Hope you enjoy them as much as I do. 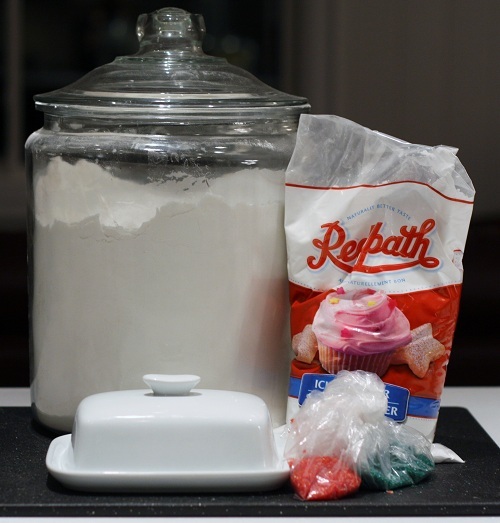 Start out with all purpose flour, icing sugar (sifted), butter and red and green sprinkles for toppings. Cream butter first, using the paddle attachment for your mixer. Then add in flour and icing sugar. 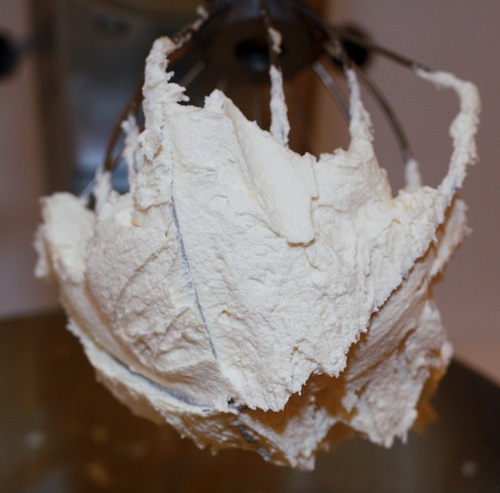 Using your whisk attachment, mix all ingredients together on medium high speed for 10 minutes. 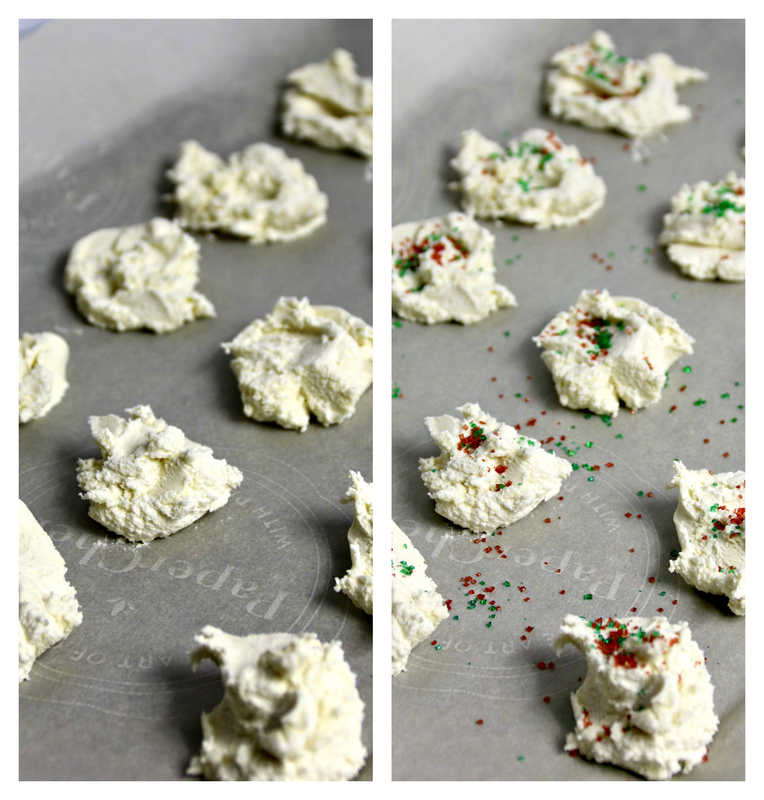 Once 10 minutes is up, using a spoon drop cookies onto a baking sheet that is lined with parchment paper. Now add your toppings. Bake for 7 minutes at 350 degrees, watching that your bottoms do not brown to quickly. Let cookies rest on baking sheet for about 5 minutes before transferring to cooling rack. Just to make sure they have set. 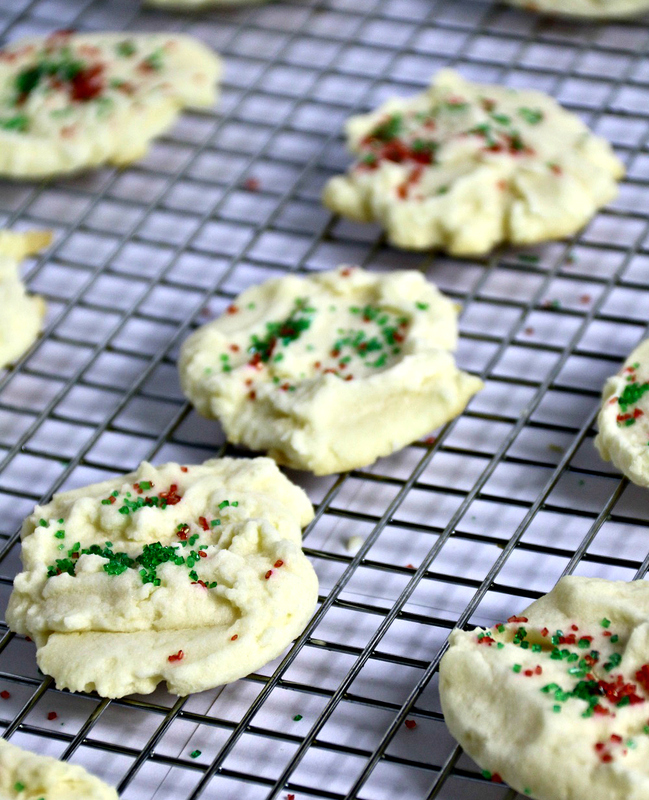 Yummy melt in your mouth Shortbread cookies great recipe for holiday baking! Then add flour and sifted icing sugar, using the whisk attachment whip batter for 10 minutes, scraping down sides of bowl when needed. Drop from spoon to a baking sheet lined with parchment paper. Then top cookies off with sprinkles or any other ingredient you wish to use. Bake at 350 degrees for about 7 minutes, once done allow cookies to sit on baking sheet for 5 minutes before transferring to wire rack to make sure they have set. Remember to whip on medium to high speed for 10 minutes. This entry was posted in Dessert, Recipes and tagged Cookies, Dessert, Shortbread, Shortbread Cookies, Whipped Shortbread Cookies. .These cookies look delicious, can’t wait to make some. The directions are easy to follow and the pictures help.